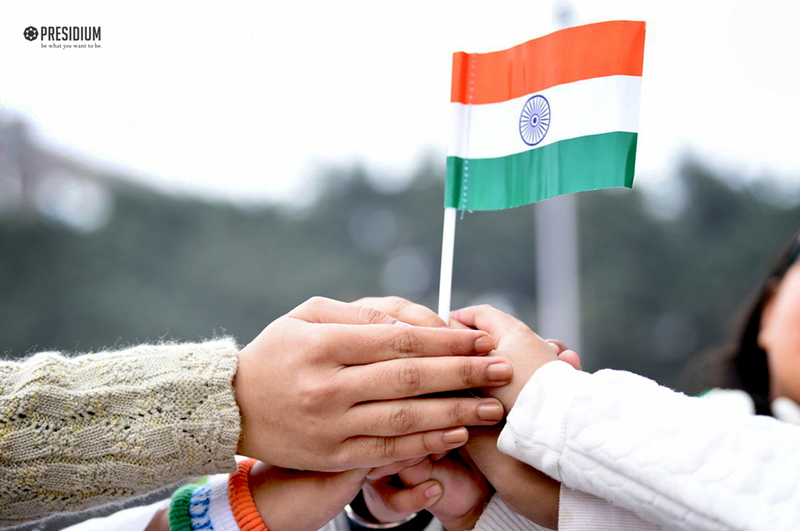 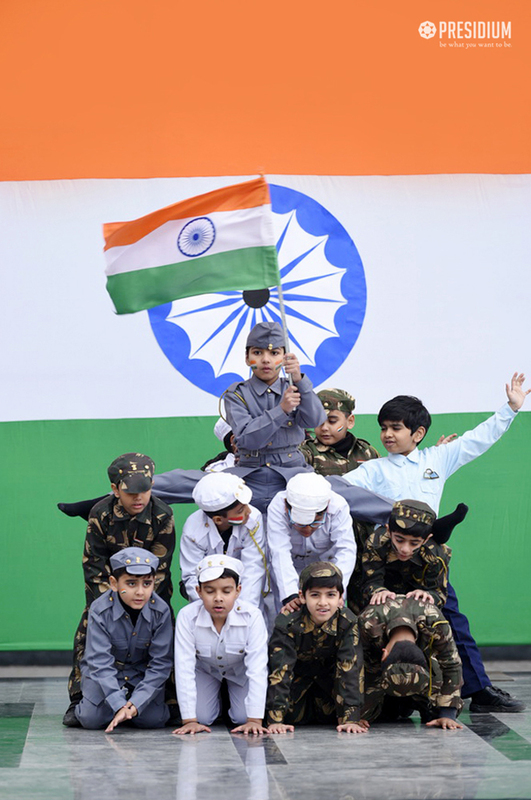 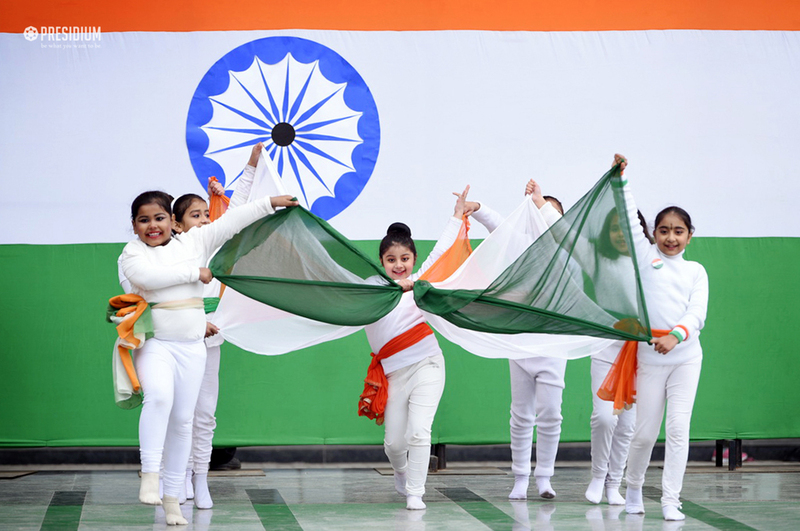 The Republic Day symbolises the historic moment when the Indian constitution was laid to promise its citizens- justice, liberty, equality and fraternity, the pillars that make the world bow to the Incredible India. 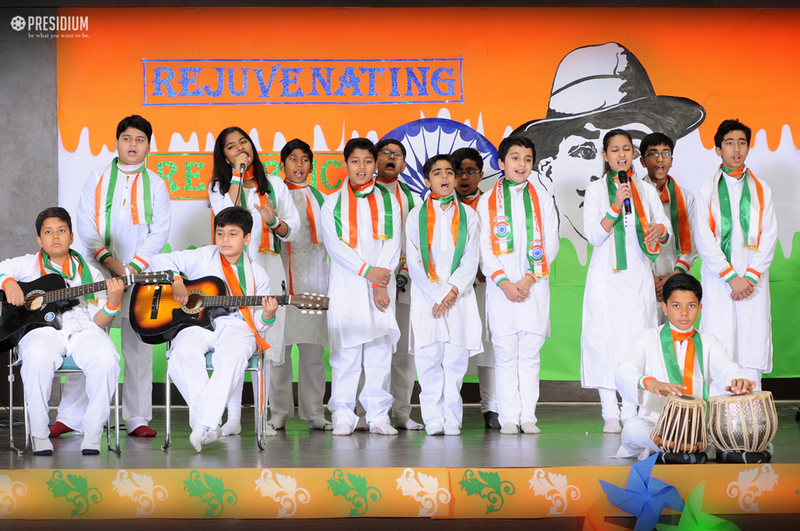 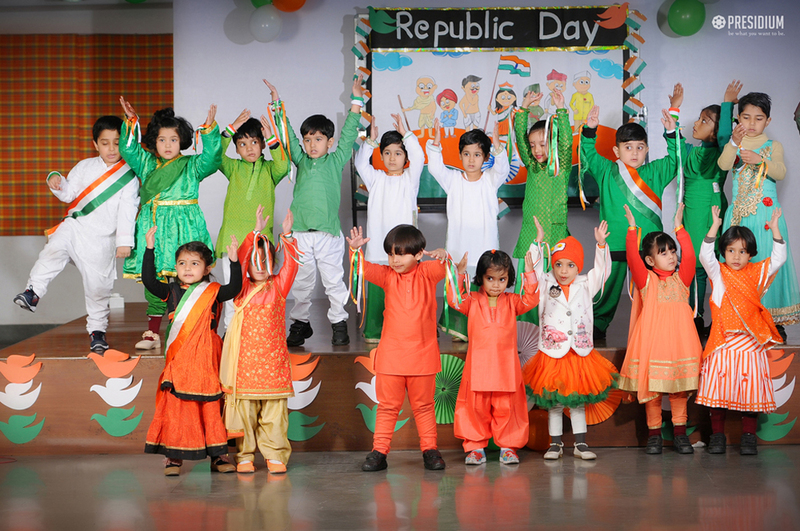 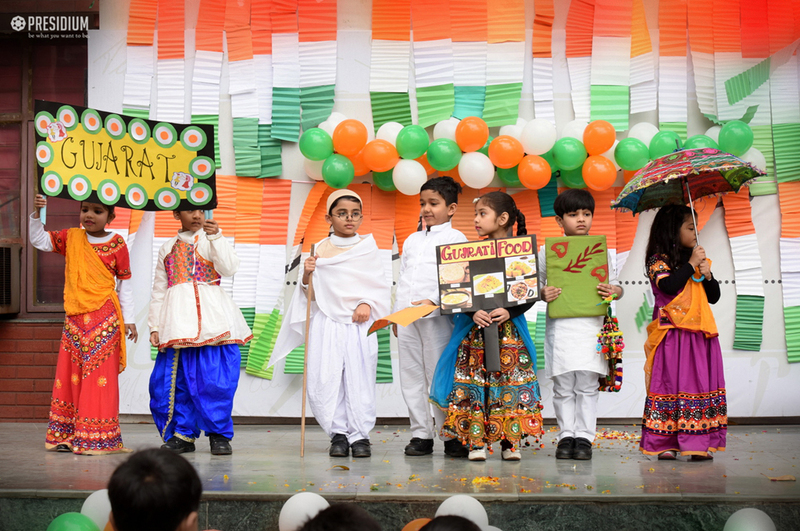 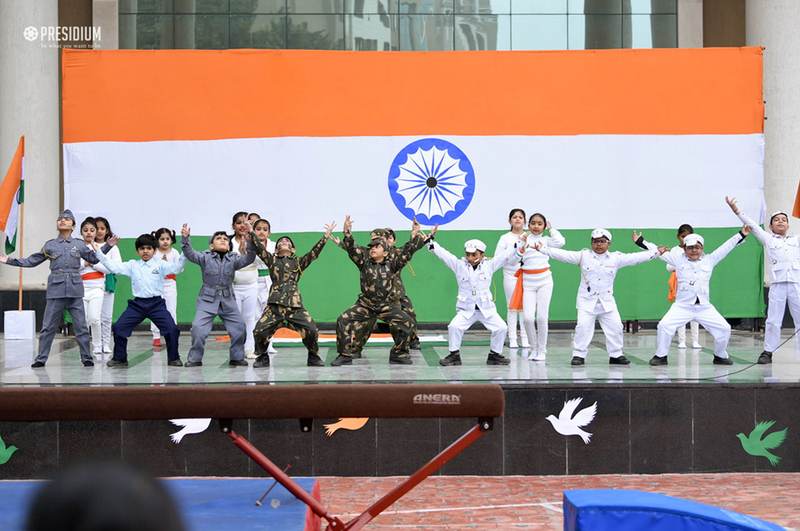 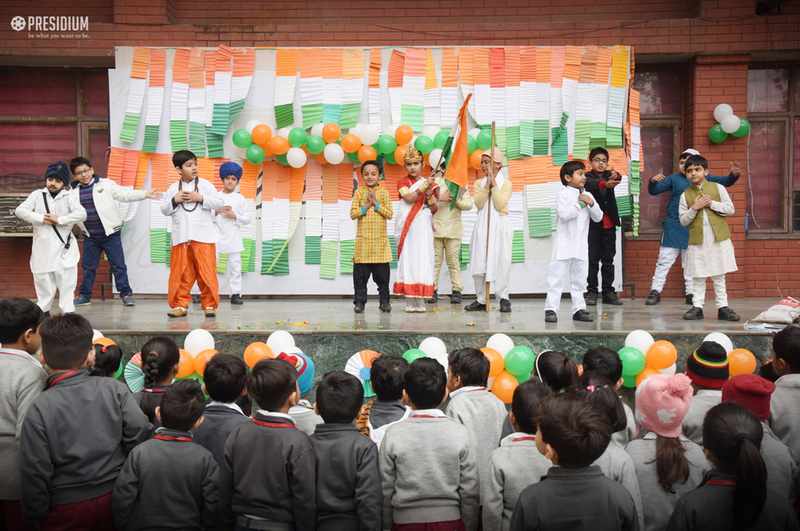 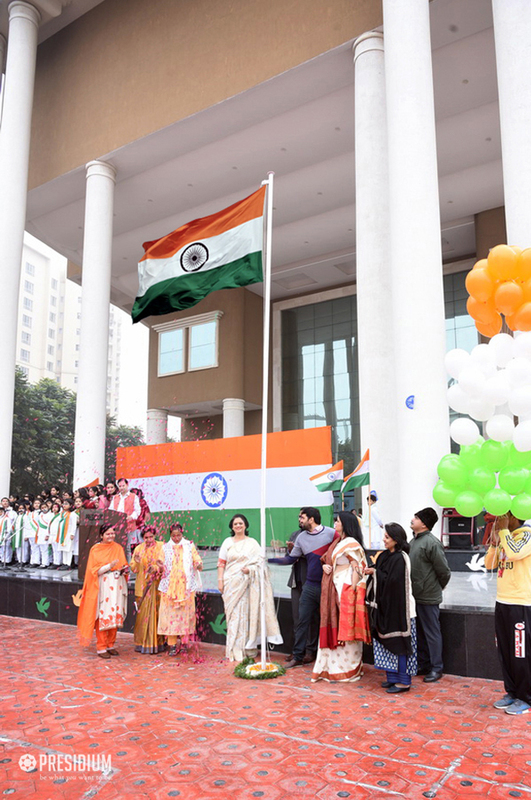 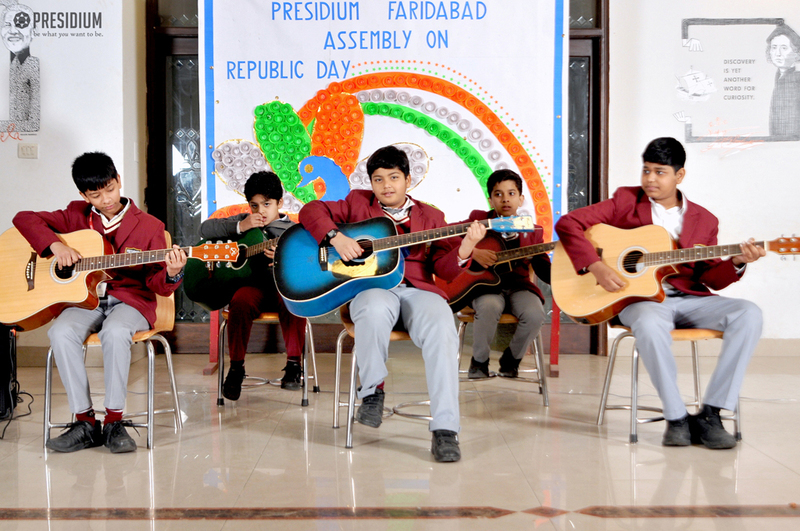 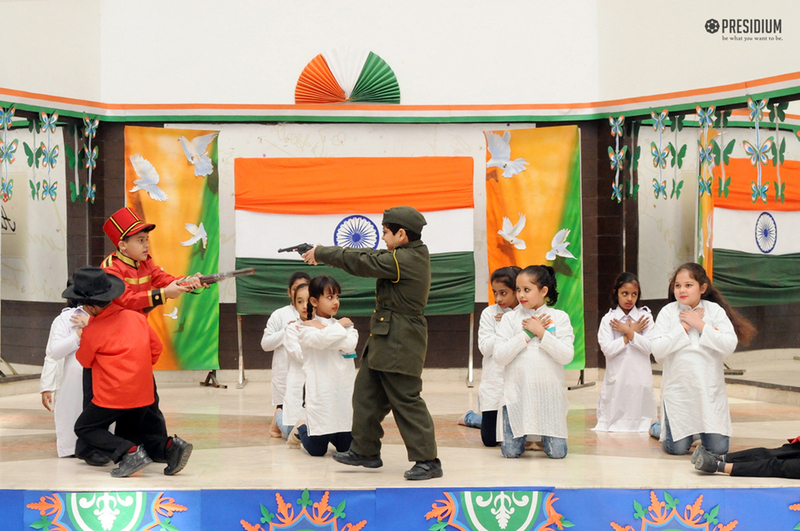 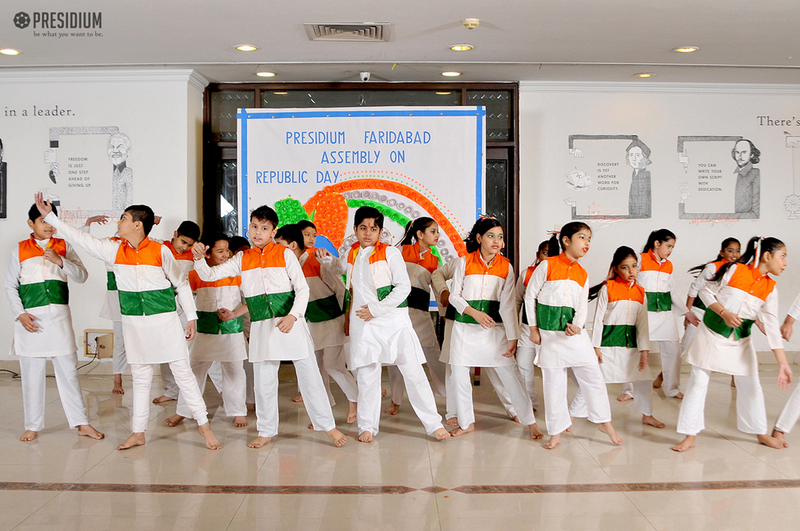 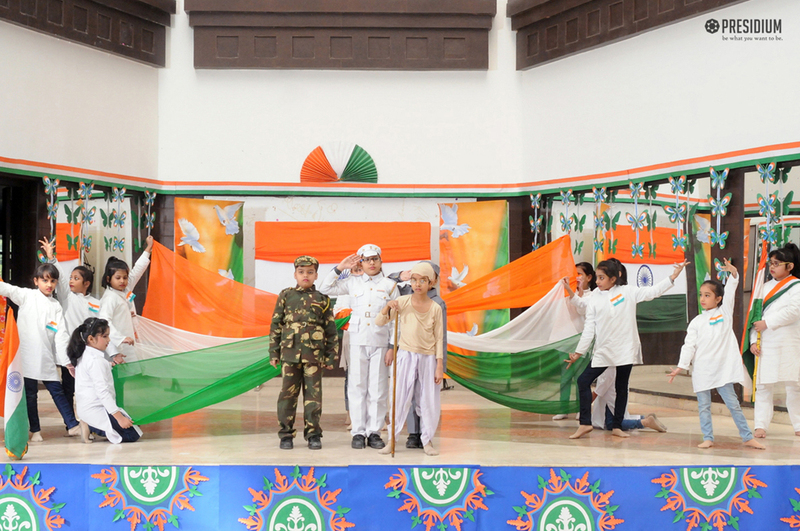 Proud Presidians celebrated this incredibility of India on Republic Day with our honourable chairperson Mrs.Sudha Gupta. 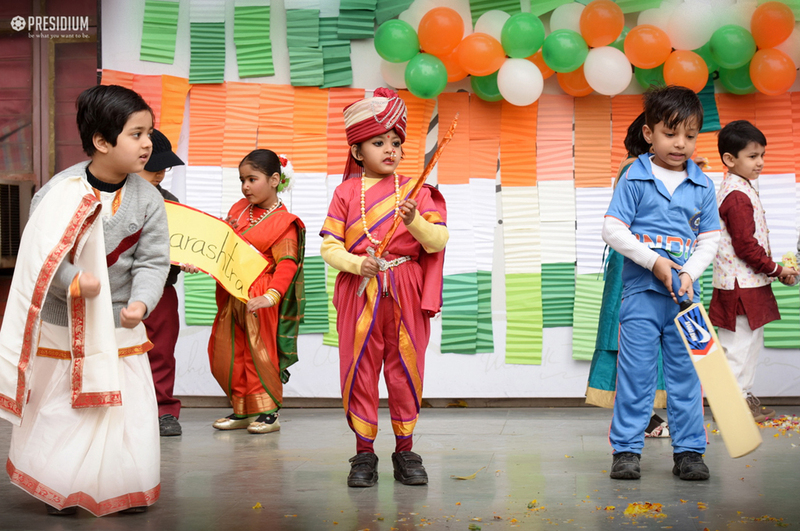 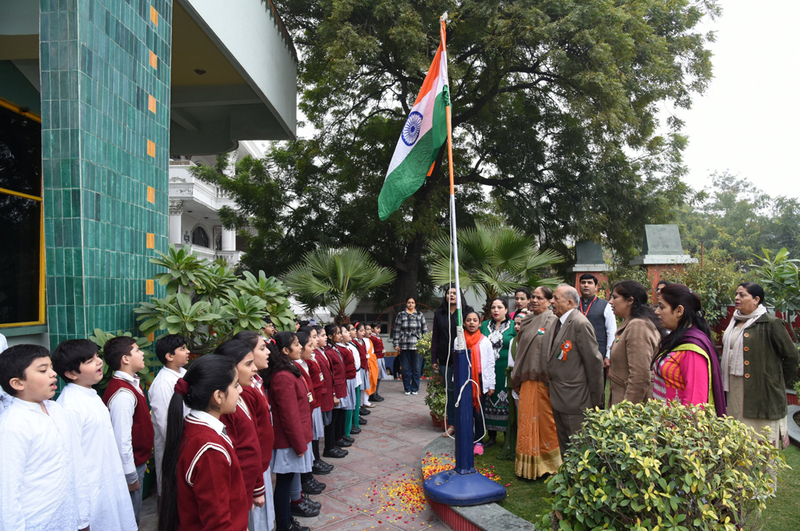 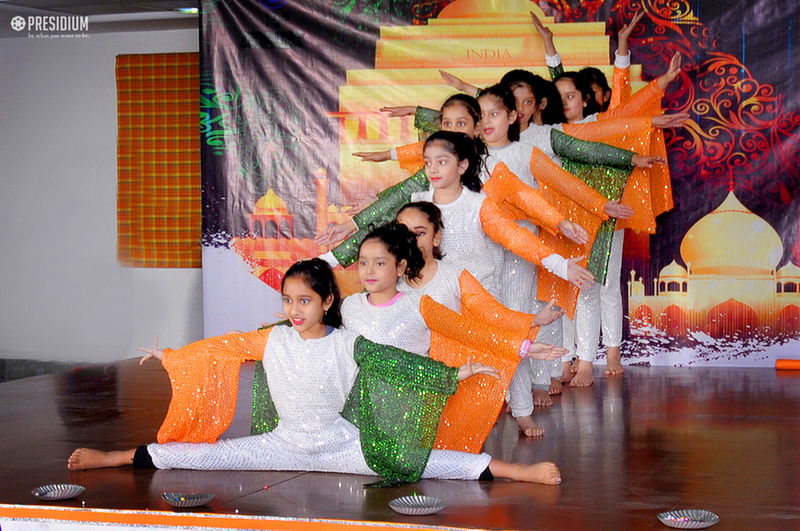 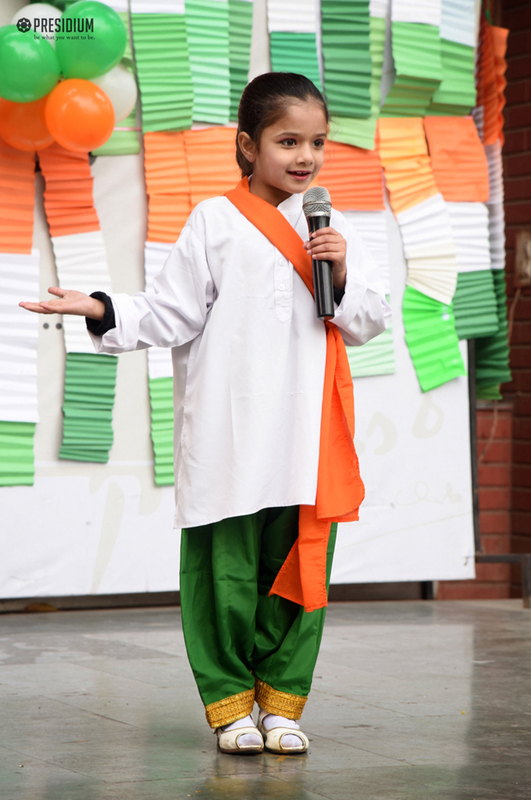 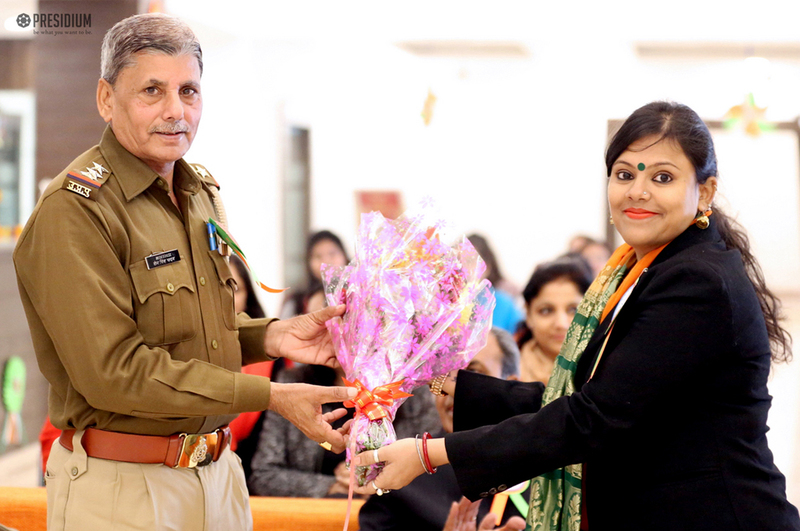 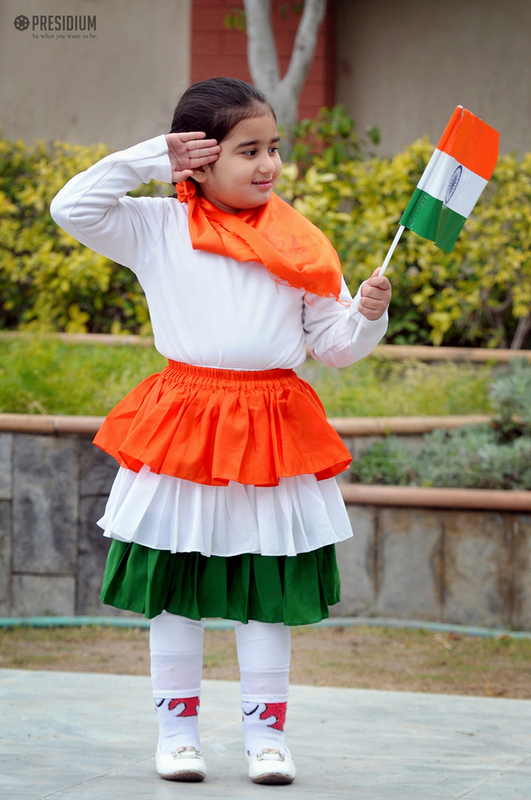 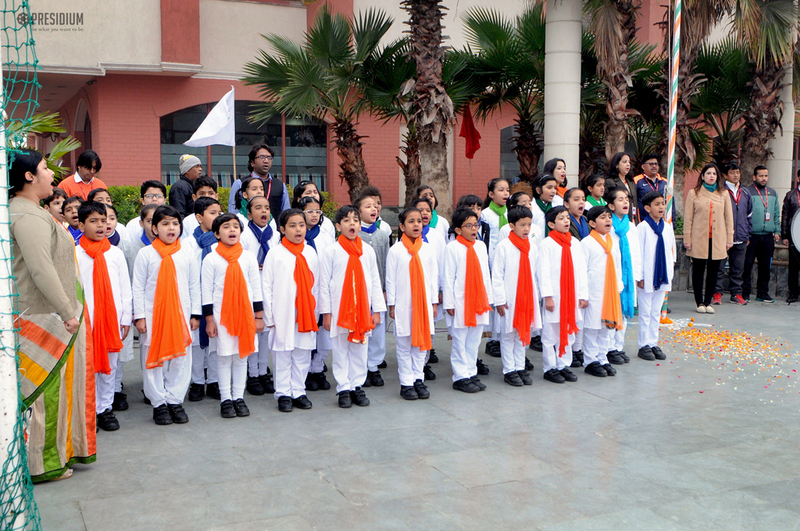 It was a splendid moment when she joined the students in flag hoisting. 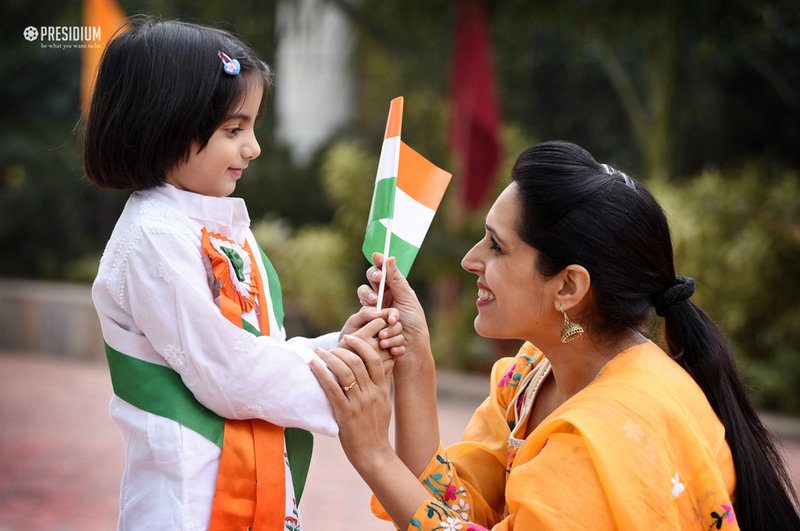 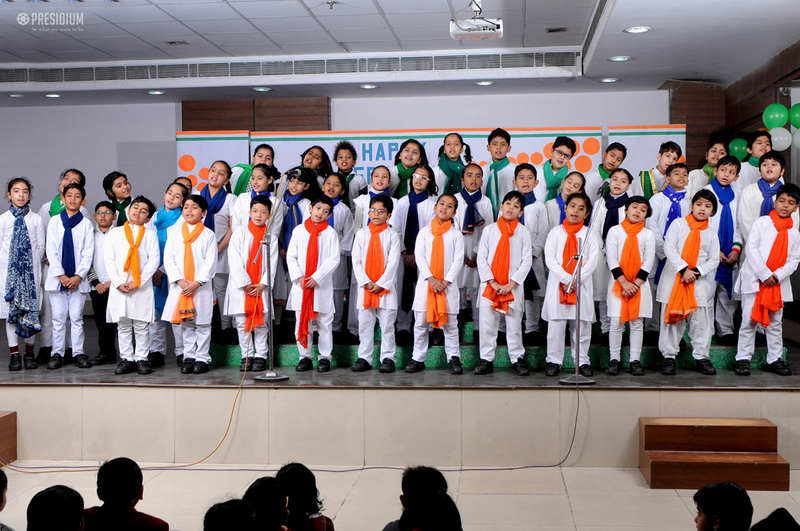 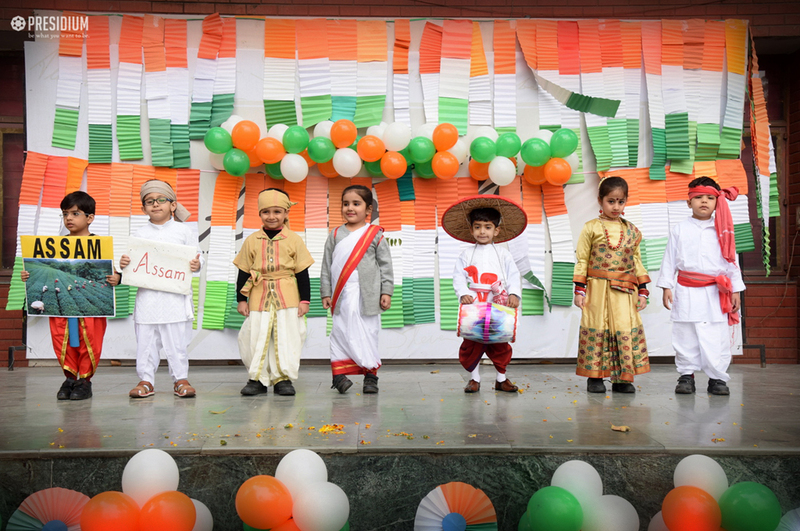 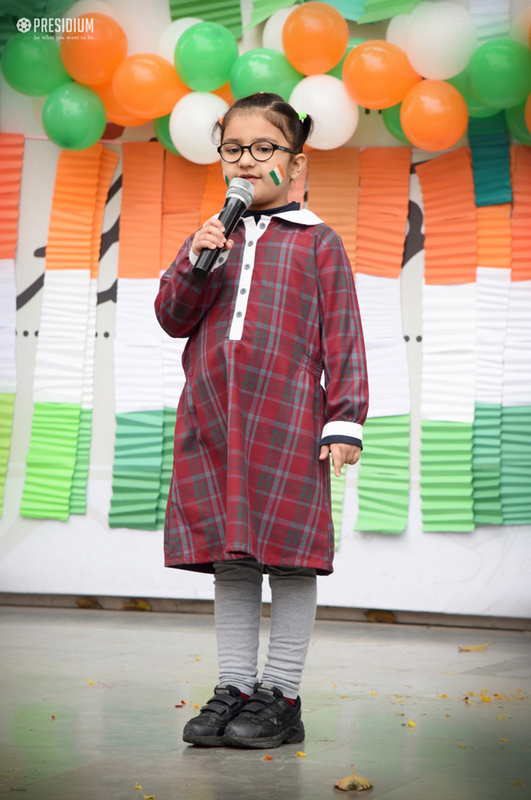 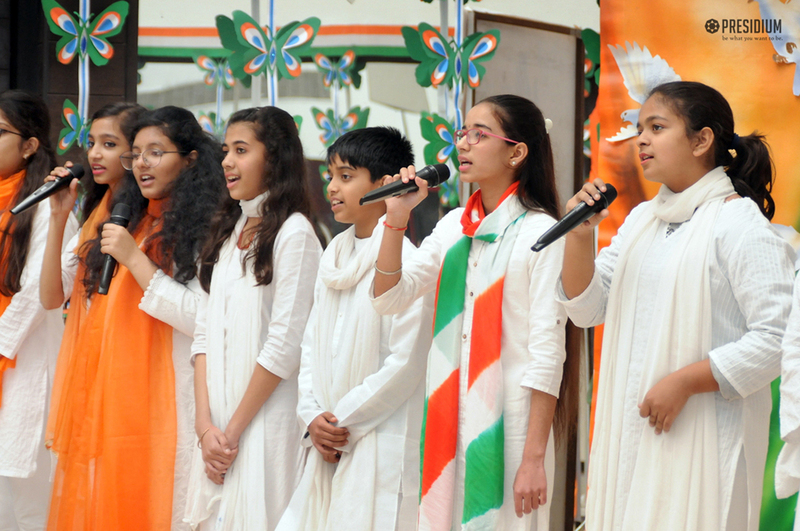 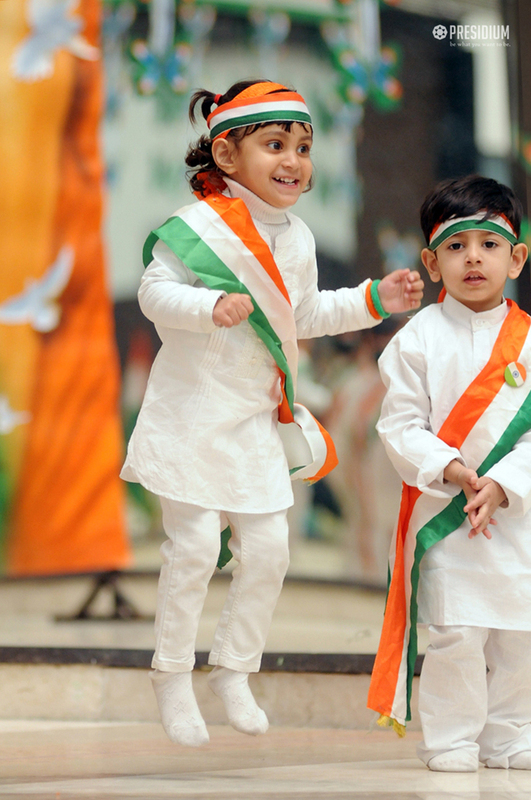 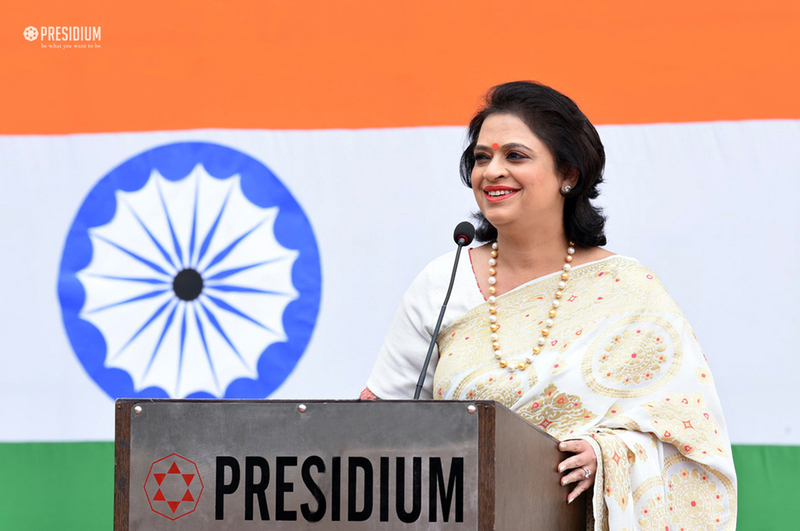 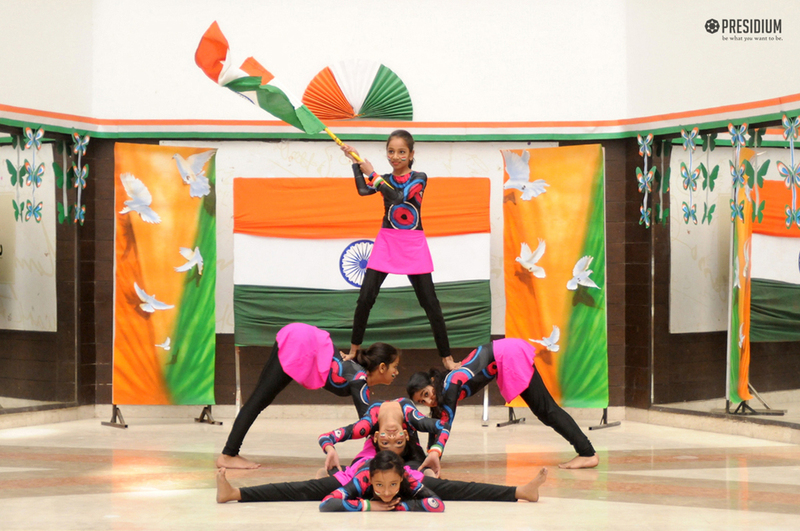 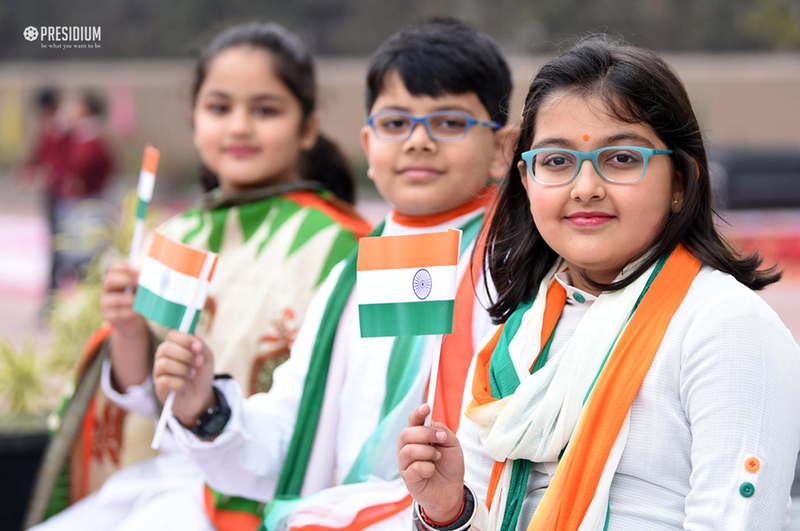 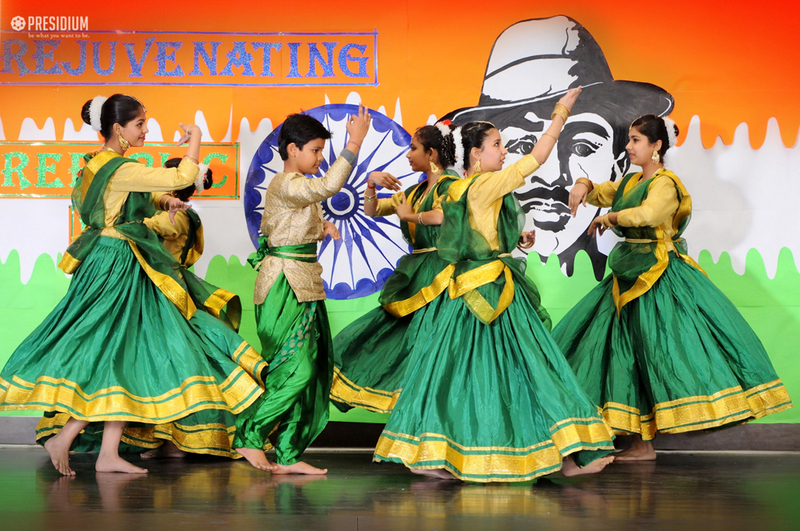 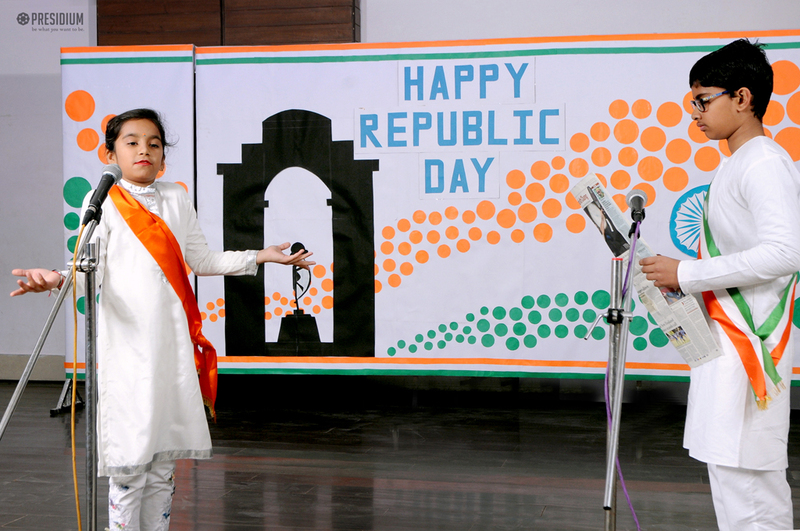 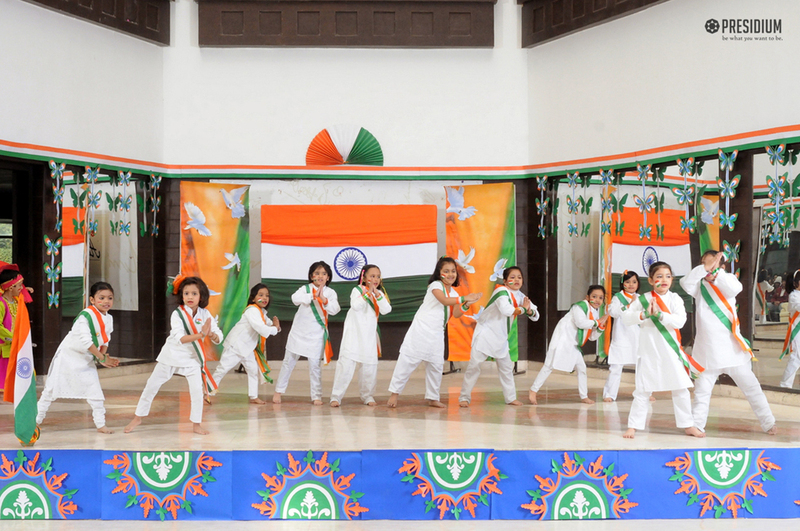 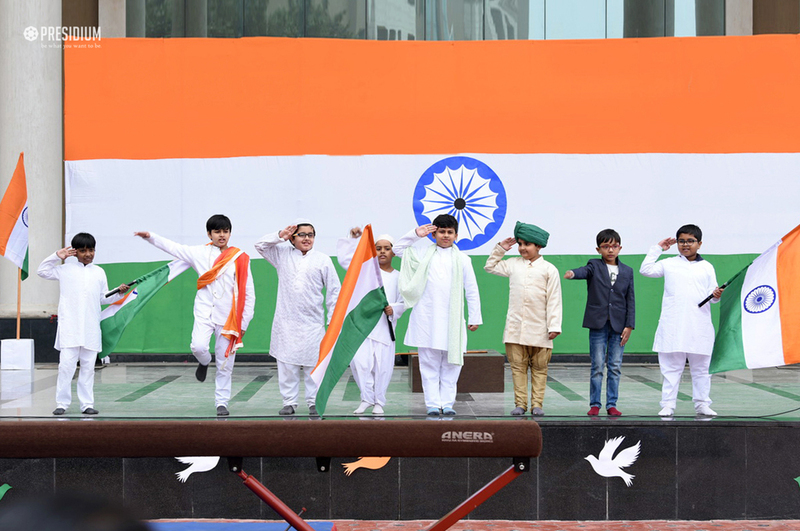 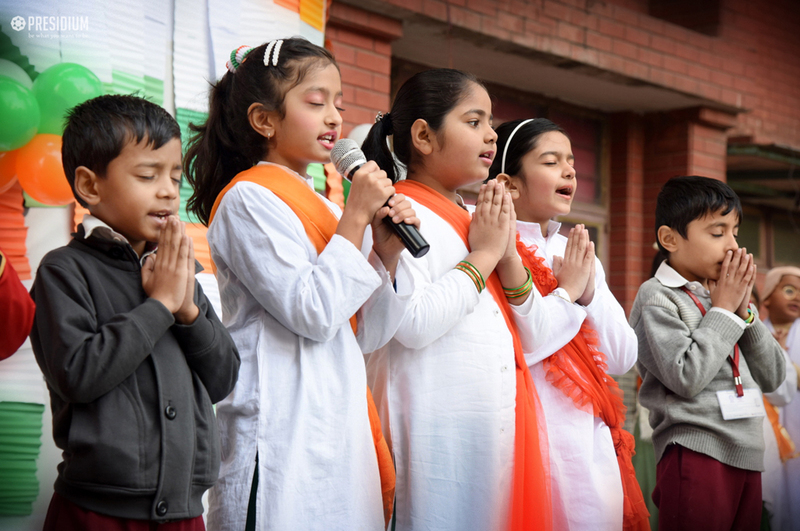 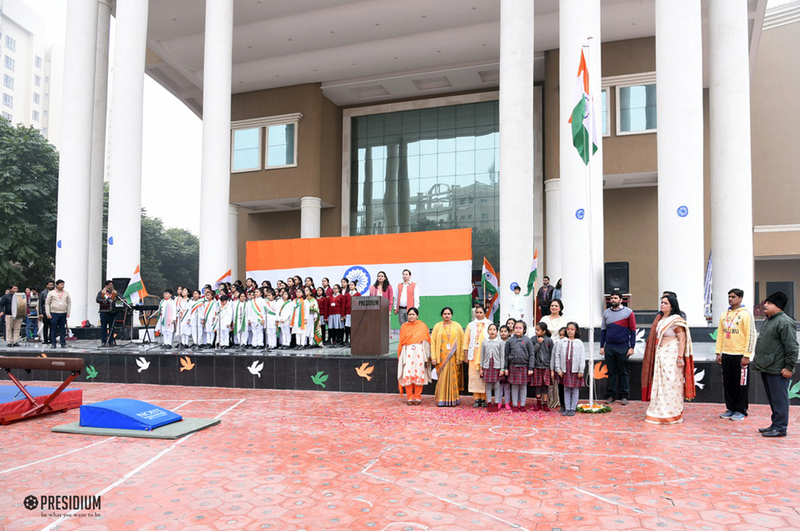 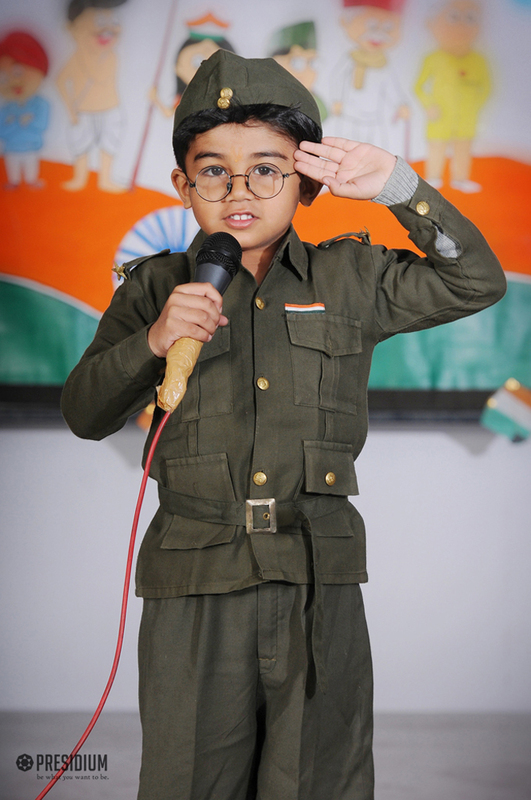 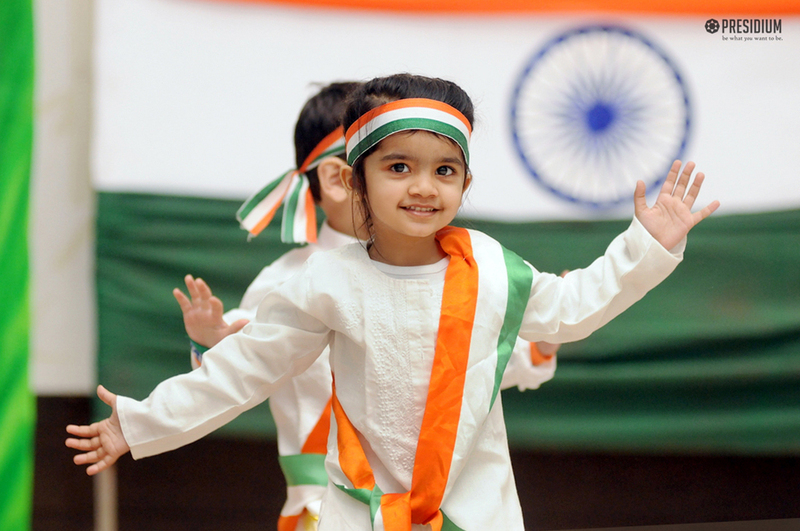 Her stimulating words of wisdom exhilarated enthusiasm among them to take it upon their confident shoulders and weave the fundamental values of the constitution with everything they pursue in life and also wave the flag of India higher than ever before.